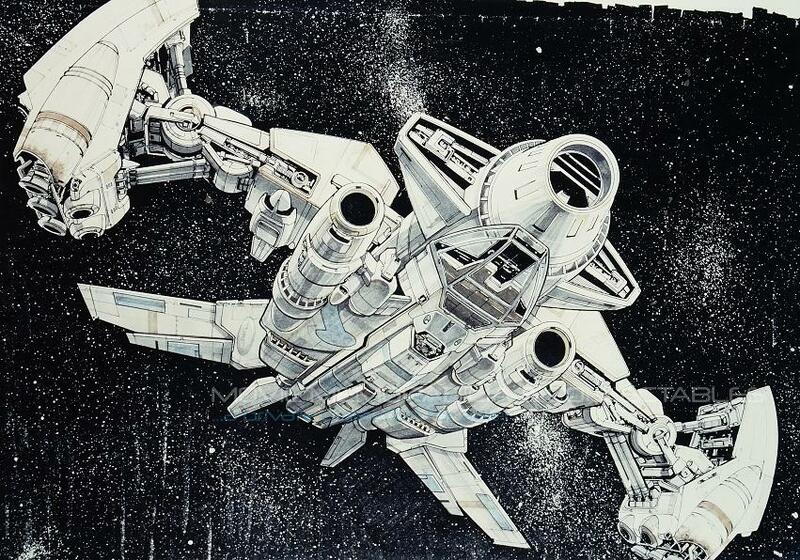 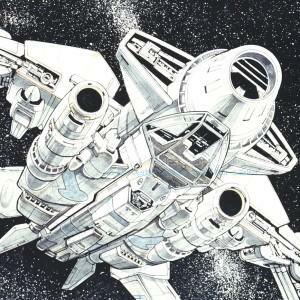 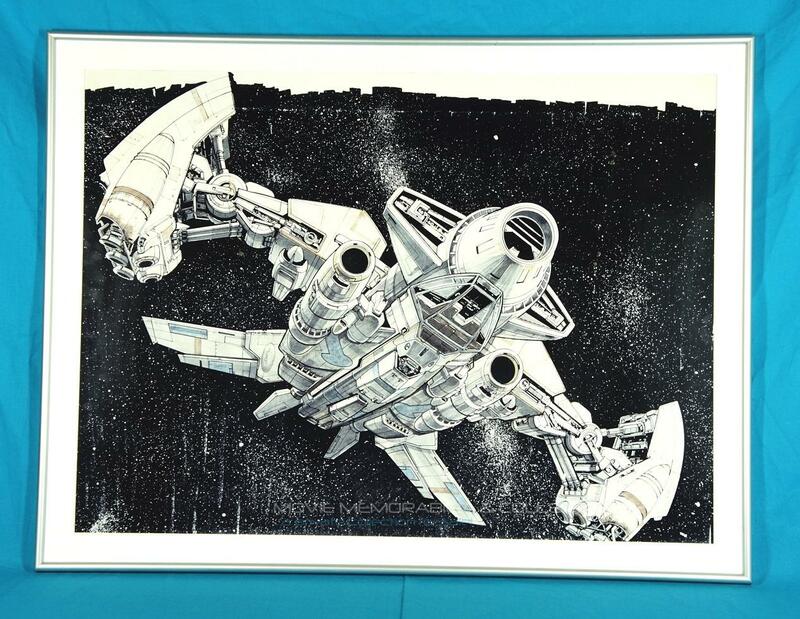 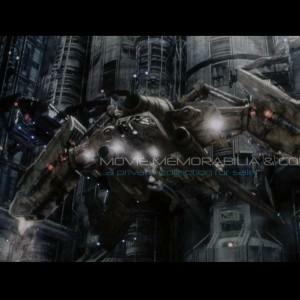 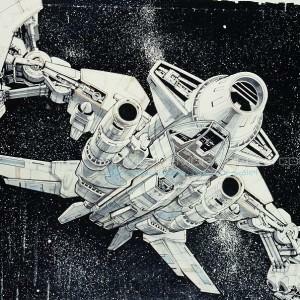 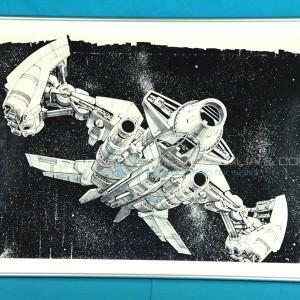 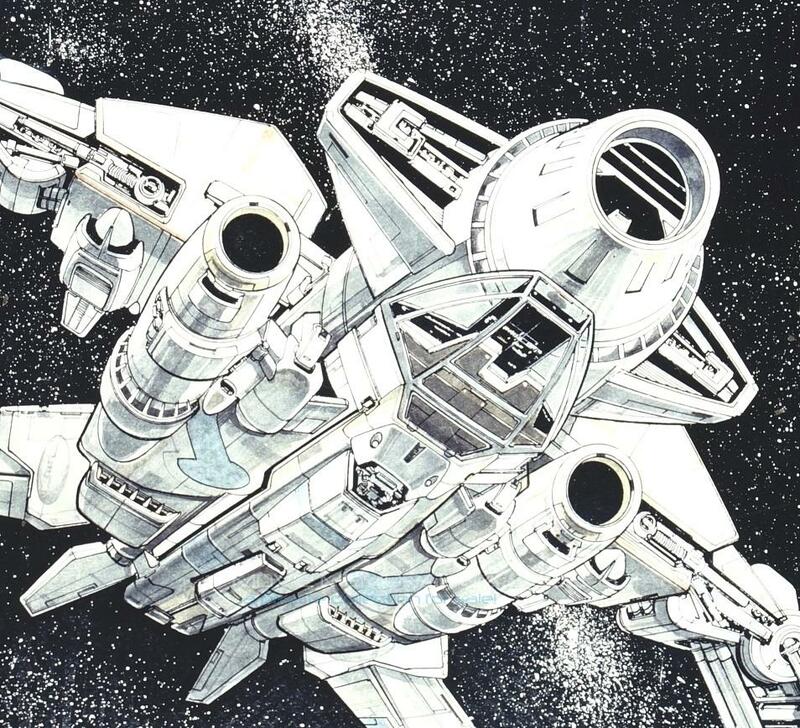 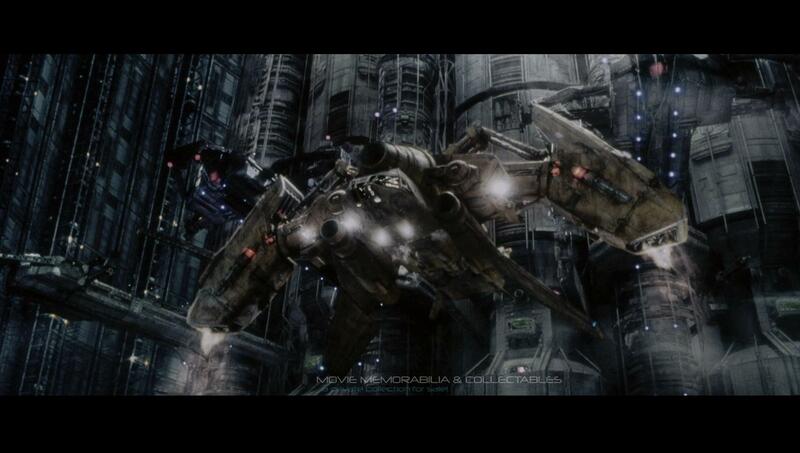 Alien Resurrection: Ultra large artwork of the BETTY in full flight by Jim Martin, production illustrator of the movie. 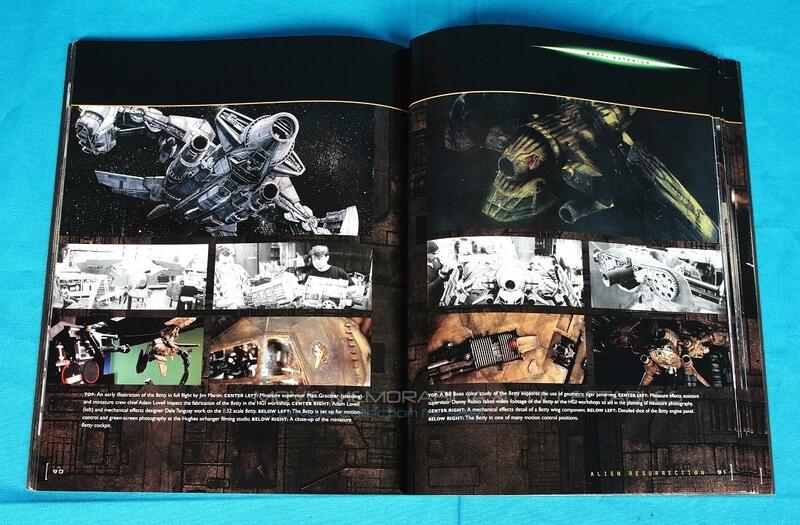 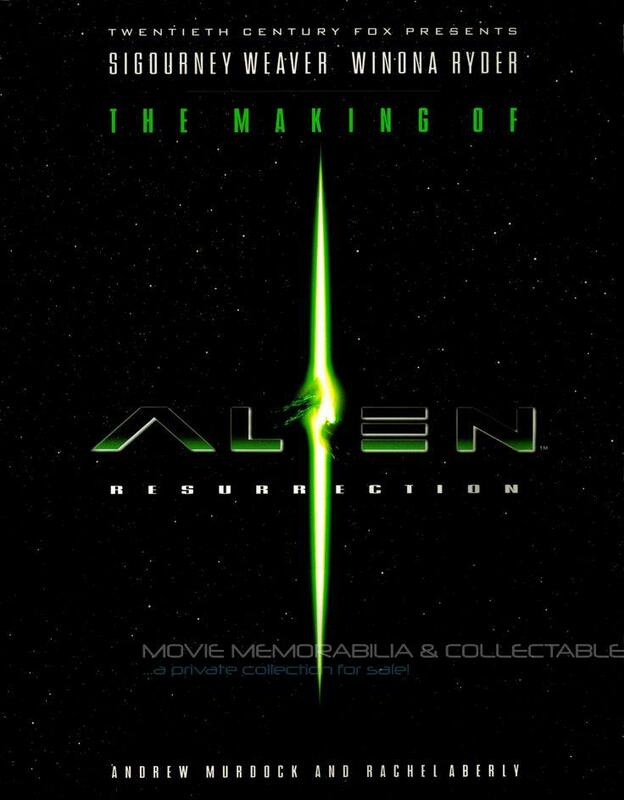 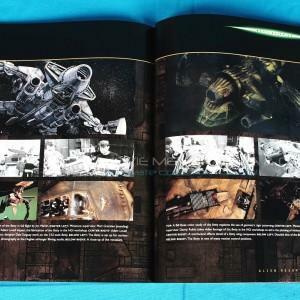 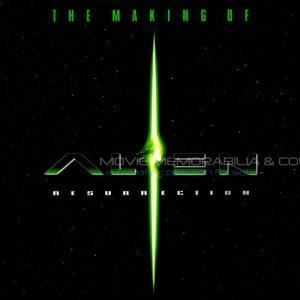 You can see this artwork in “The making of Alien Resurrection” book, page 90. 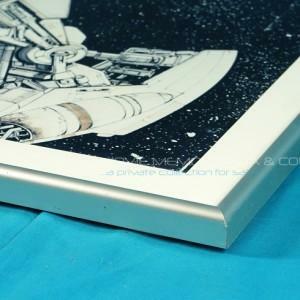 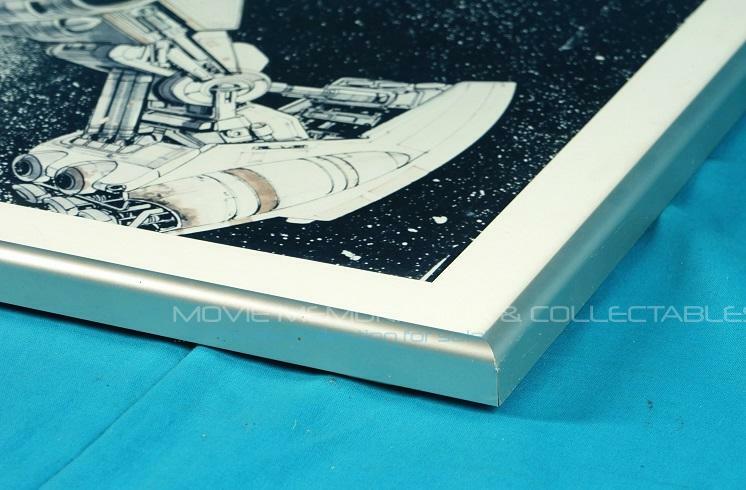 This wonderful, printed and plasticized, artwork comes directly from the 20th Century FOX Headquarters in Los Angeles and it has the original 20th Century Fox frame in aluminum. 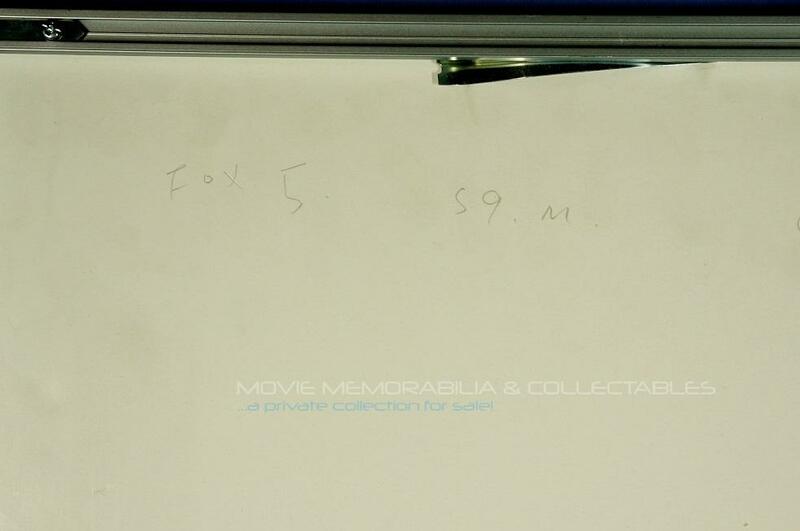 On the back, the frame has some FOX references in pencil. 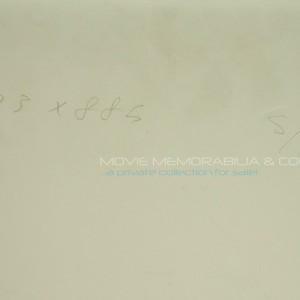 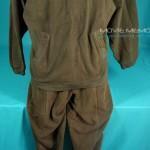 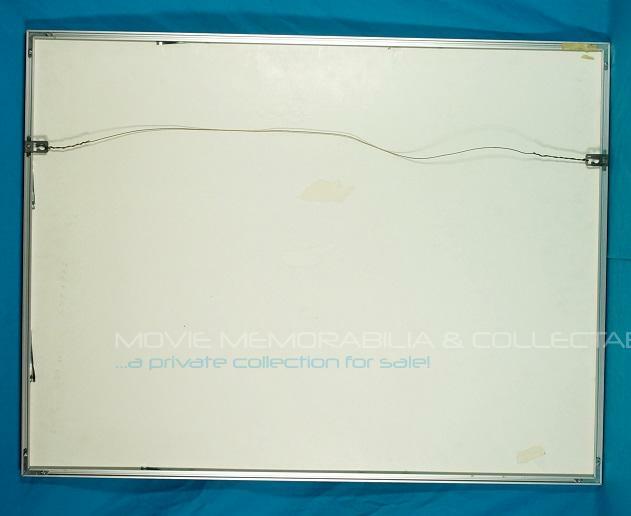 Comes with original COA from Propstore of London.